Every bride wants to look her best on the day of days. If your big moment is coming up, then you’ve most likely already picked your dress. All that’s left to do now is accessorize it properly, so that its beauty can be further emphasized. Easier said than done! To help you get started, we have comprised this top ten list of the best bridal decorations that will complete your look. Proper accessorizing on your wedding day is an important element that truly puts the finishing touches to your overall bridal aesthetic. Adding a genuine white pearl necklace is an elegant way to complement your beautiful dress and incorporate a timeless piece of jewelry. Adjust its length to your neckline, and you are bound to look like royalty. 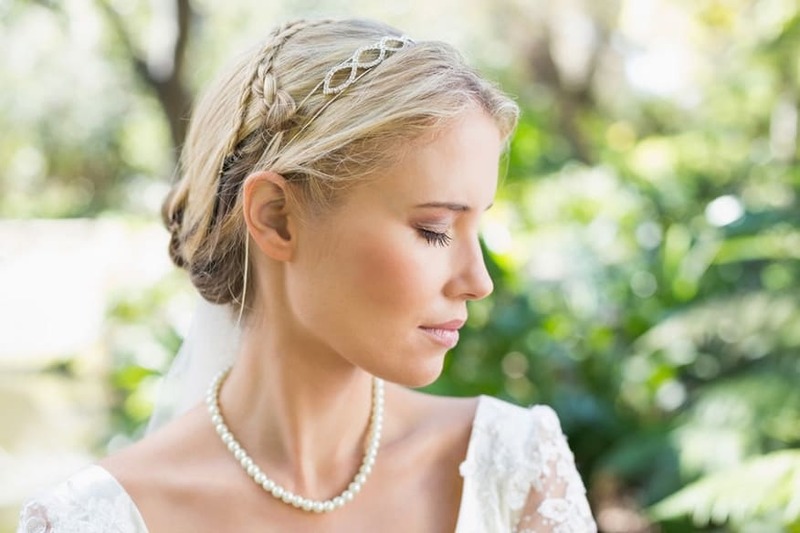 When the veil comes down after the big kiss, your lovely bridal hairstyle needs to be emphasized. 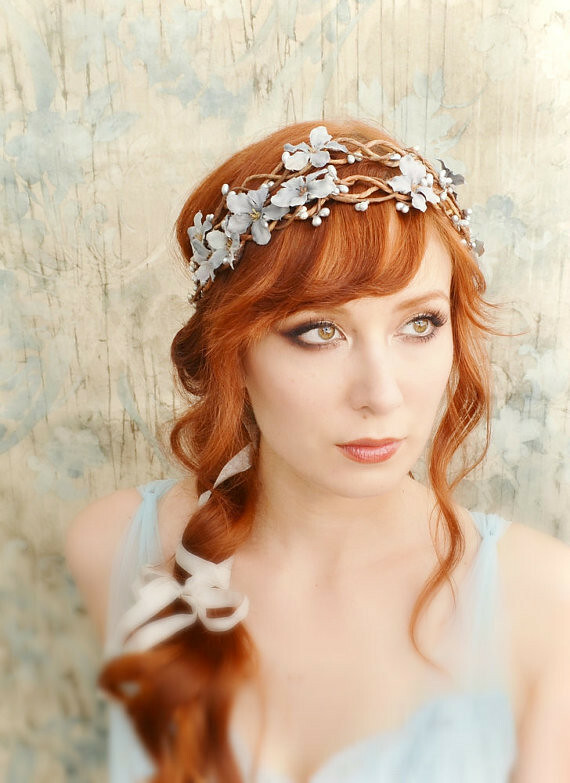 And what better way to do that than with a headpiece constructed with beautiful flowers, pearls, or diamonds? 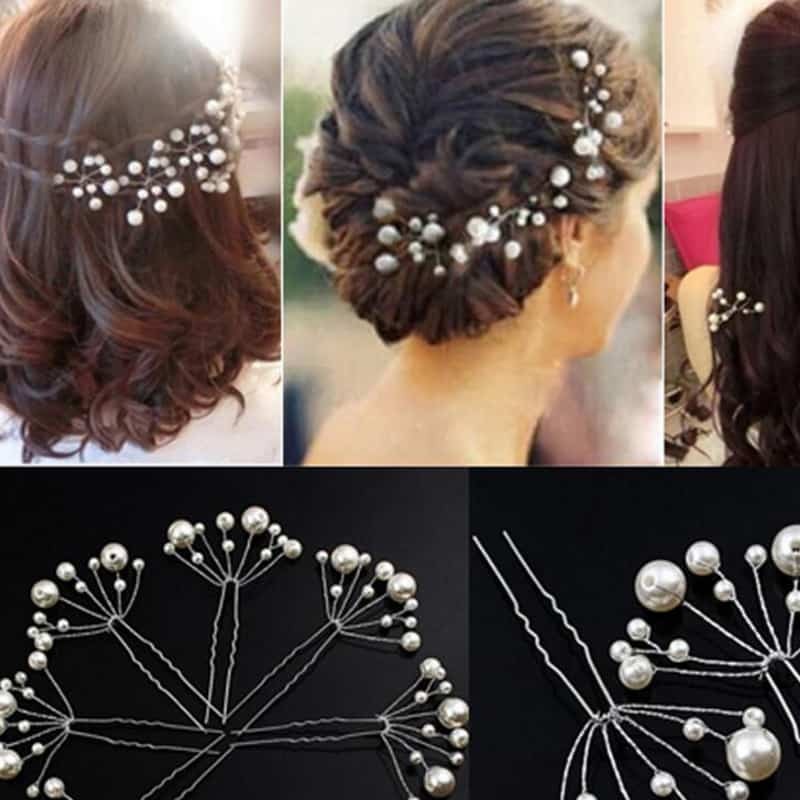 Depending on the style of your dress, as well as your personal taste, you can decide how subdued or extravagant you want to go with the hair accessories. Hairpins with pearl accents are the ideal way to hold your updo into place and incorporate an extra layer of nuptial glamour to your look. They can be paired with the headpiece or worn by themselves to make a statement. If the latter is your choice, you can also try adding a few that are a bit more glitzy and flashy, such as crystal-embellished hair pins. Keeping it clean and simple is one of the golden rules of accessorizing on your wedding day. 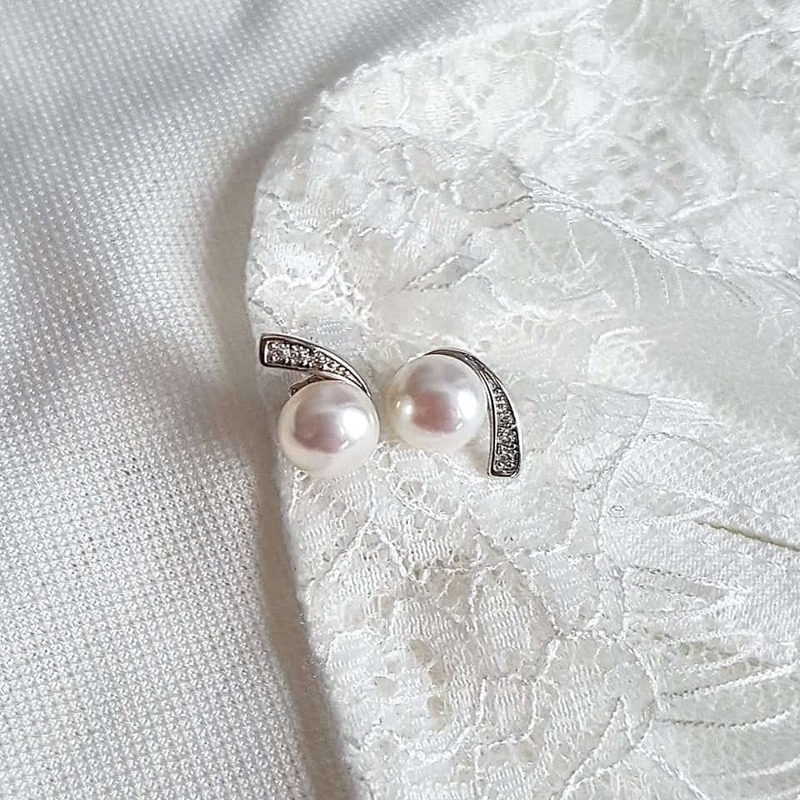 The concept of matrimonial minimalism should be applied to the jewelry you decide to incorporate into the mix, and this includes the earrings. Choose a pair of dainty ones, with pearl accents for a boost of refinement. Steer clear of chunky and gaudy pieces such as hoops or chandeliers. 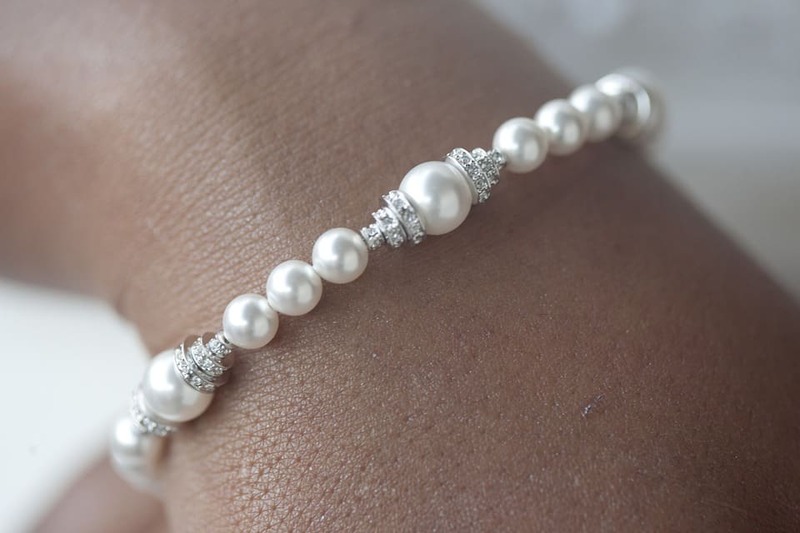 When your necklace and earrings are beautifully delicate, the bracelet you choose for the wedding day needs to look the part as well. Depending on the color scheme you are going for, you can choose either gold or silver. Remember that ivory tones work better with the former, as it brings out the creaminess, while white pairs beautifully with the latter. The day you get married is one of the best ones in your entire life. With this in mind, you won’t want to stress about your personal belonging or have to carry them around uncomfortably. 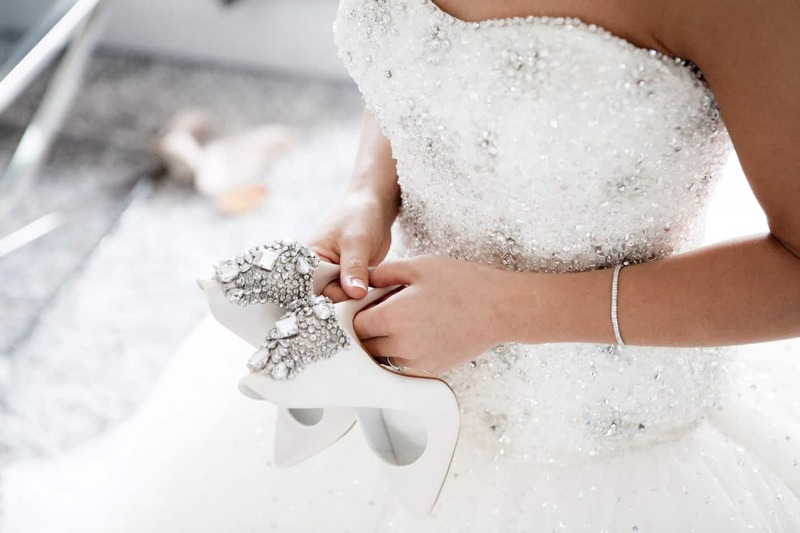 A stunning embellished bridal clutch is the ideal accessory to match with your perfect wedding dress, as it allows you to bring along everything you might need to freshen up, and more. 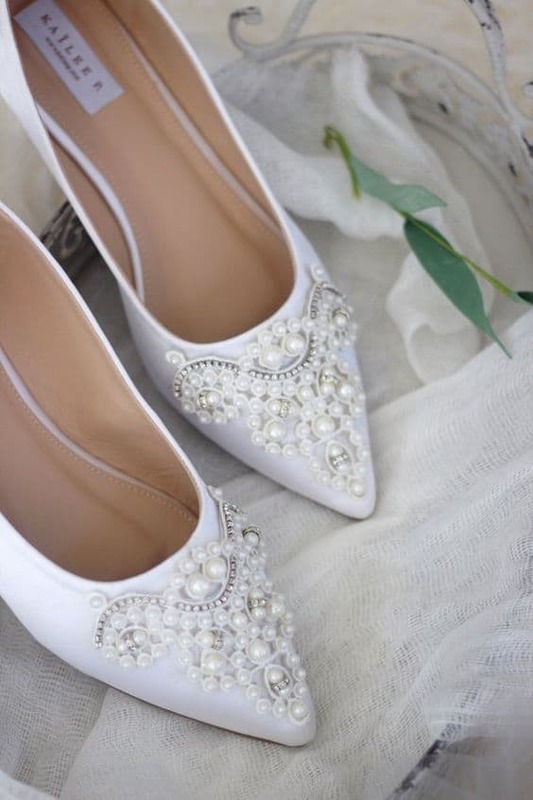 No bridal outfit would be complete without the most suitable pair of shoes. To ensure that they don’t clash with any other element of your look, you should select one that is simple and matches the color of the dress as closely as possible. Satin is the most suitable material, as is it is delicate and elegant without being garish. 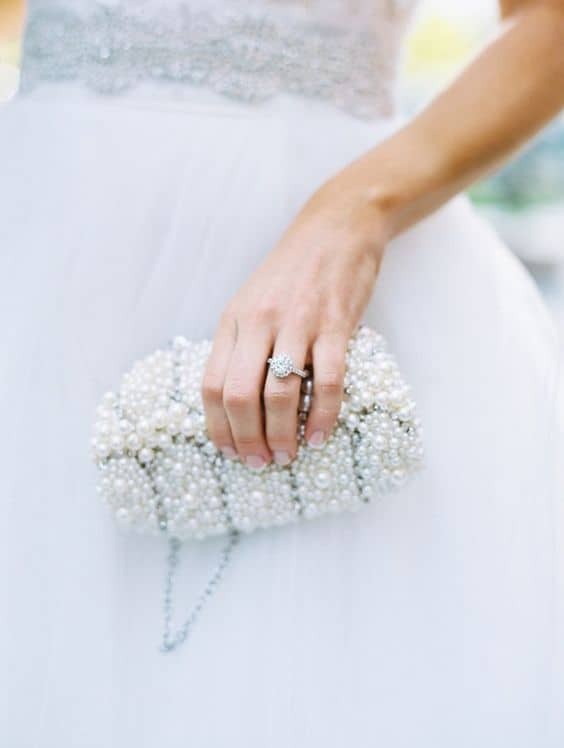 Your bridal accessory checklist should also contain a little something to honor tradition. The most stylish way to do this is by including a bridal garter in your ensemble. The best part is that it doesn’t even have to be baby blue. You can match it to your dress, or your wedding night lingerie, so that you feel sensual and in charge of the evening. Even if your dream wedding takes place in the summer, there’s always a chance for the weather to get chilly. When this happens, it’s good to have something around to cover your arms and shoulders with. 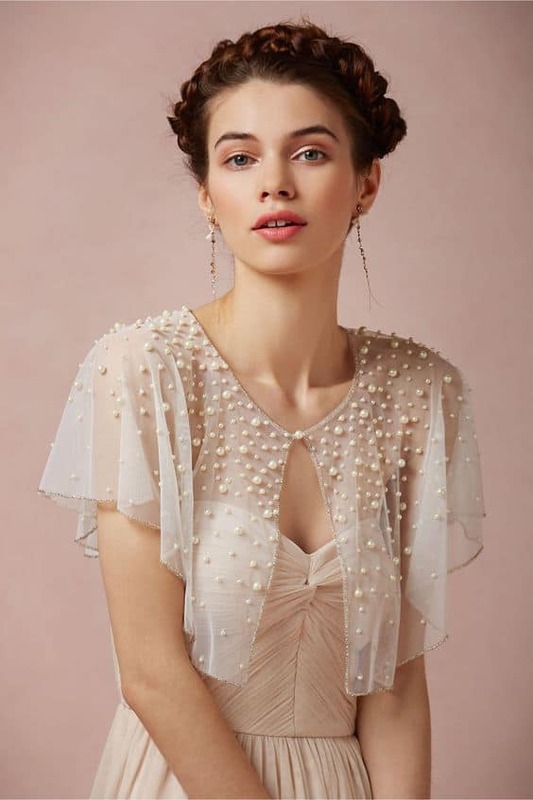 And what better way to keep in tune with the nuptial theme than a see-through shrug adorned with pearls? It’s delicate and stylish, and it will get the job done. If your wedding dress is a little too intricate and embroidered for a lace shrug to look good over it, try a plain white kimono instead. It’s a step above the classic alternatives presented by a cardigan or a wrap, but it still works. Just make sure you choose something that is suitable for outdoor wear, and not a lingerie-type one. Your dream wedding dress is bound to be a statement piece all by itself. With minimal accessorizing and timeless, clean additions, you will further enhance its beauty and shine on your big day. Remember to match everything with your personal taste so that you feel comfortable throughout the ceremony and have fun. Congratulations on tying the knot!